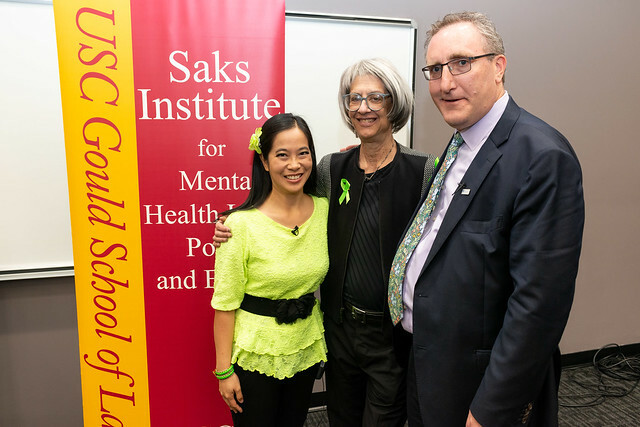 USC Gould Prof. Elyn Saks, founder of the USC Saks Institute for Mental Health Law, Policy and Ethics, struggles with schizophrenia. She attributes her work to helping her cope with her symptoms. “When I’m writing an argument or a counter argument, my schizophrenia is on the sidelines. I notice that I have my worst symptoms at night when I’m not working or thinking,” Saks shared recently at the Saks Institute’s annual fall distinguished lecture, “On-the-Job and Living with Mental Health Disorder.” The discussion also featured Andrew Imparato, executive director, Association of University Centers on Disabilities (AUCD) and mental health advocate Emily Wu Truong. Imparato, who was diagnosed with bipolar disorder shortly after graduating from Stanford Law School, agreed that his professional life provides a therapeutic refuge from his symptoms. “My most important mood stabilizer is my work,” he said. “When I’m depressed my worst days are when I don’t have enough to do. Because then I think about the depression. If I have a full schedule I’m less depressed. I think about all the people who have a bipolar diagnosis or other diagnosis who aren’t working, and I feel like for many of those people it’s making their symptoms worse,” he said. 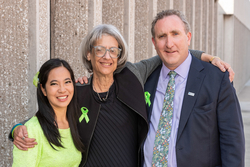 Both Imparato and Truong work as mental health advocates, using their personal experiences to fuel their professional work and to reduce the stigma around mental illness in the workplace. 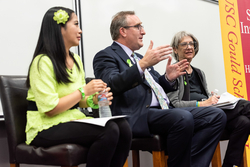 Truong, who is diagnosed with depression and anxiety, told the audience that her journey as an advocate began “when I realized that there was a movement beyond myself to address suicide prevention and the misconceptions of people living with mental illness.” She works with the National Alliance on Mental Illness (NAMI) as well as other mental health organizations as a speaker, a peer-to-peer class facilitator, outreach representative, and social media consultant. “To this day, I can’t believe that I’ve managed to make a speaking career out of my advocacy,” she said. If you missed the discussion, you can watch the video on USC Gould's YouTube channel. 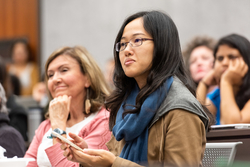 Truong, Imparato and Saks each highlighted the progress achieved by the disability rights movement to make the workplace and society more welcoming. 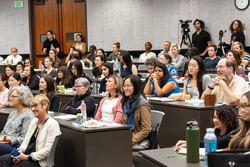 Saks noted that Gould law students had set up an organization “Law Students for Better Health,” which is focused on ensuring law students have the tools and resources needed to confront challenges associated with attending law school. “Law school – especially the first year—is very stressful,” she said. Saks ended the discussion by sharing a quote from former President Bill Clinton. “‘Mental illness is nothing to be ashamed of, but stigma and bias shame us all.’ I’ve always thought that was really good message,” she said. Shortly after Prof. Elyn Saks received a MacArthur “genius grant,” she used the funds to create the USC Saks Institute for Mental Health Law, Policy and Ethics, which she has led for the past eight years. Her mission is simple: stimulate discussion, develop solutions and change the way society addresses mental illness.